The Axolotl, also known as the Mexican Salamander is a critically endangered amphibian. It can regrow its limbs, but sadly it cannot survive the nearly entire destruction of its natural habitat. The species originates from numerous lakes and is remarkable for reaching maturity without going through metamorphosis. As of 2010, wild axolotls were near extinction, due to the expansion of Mexican cities (especially Mexico city) which have taken over the lakes where the Axolotl lives. It has long been known that the Axolotl is a worthy study due to its amazing healing and regeneration abilities. Normal wound healing in animals occurs through the growth of scar tissue, which is not the same as the original tissue, nor is it as robust. Normal wound healing also does not allow for most animals to re-grow a lost limb. 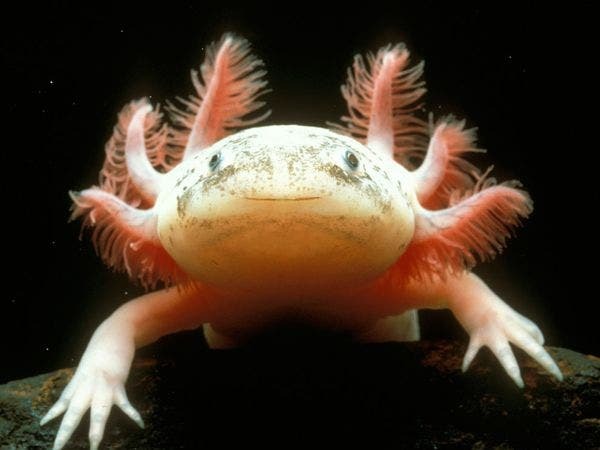 However the axolotl is fully capable of complete limb re-growth. Axolotls can turn into a land-based salamanders, but only with an injection of iodine under laboratory conditions – they require water parameter changes outside of what they would experience in nature. This happens extremely rarely in the wild (and in home-based aquaria), so they’re fully aquatic. Axolotls respire (breath oxygen) through their cartilaginous gills, like fish, as well as cutaneously, that is, by diffusing oxygen that has dissolved in the water through their skin. 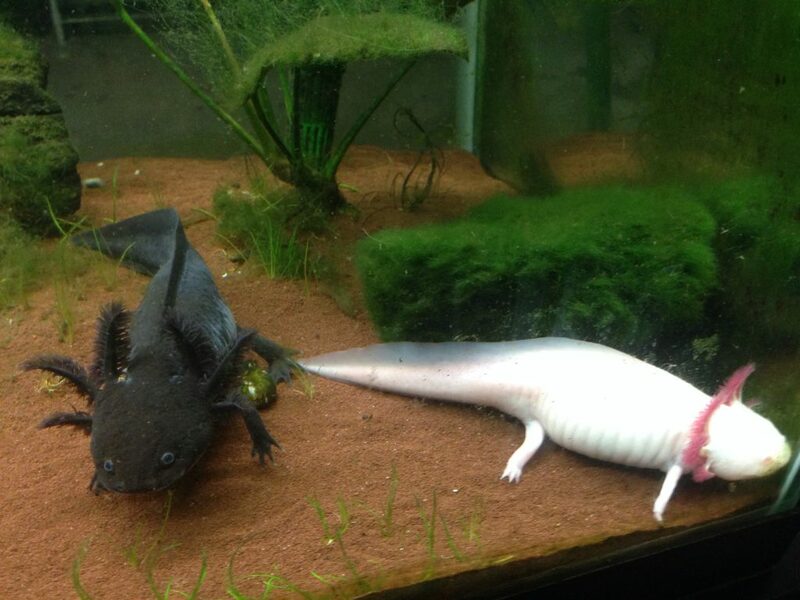 Larger, older axolotls supplement their oxygen supply by filling their rudimentary lungs at the surface of the water. Axolotls can vary in color. Image source.